Spread across the northern part of the Shenandoah Valley, Virginia's Shenandoah County offers an enticing blend of natural wonders, engaging historical sites, lush vineyards, and pastoral orchards—all punctuated with a series of charming towns. Get a taste of the stunning Shenandoah Valley by exploring these six must-visit Shenandoah County towns, following an itinerary loaded with everything from trekking panoramic peaks to sampling distinctive regional wines. 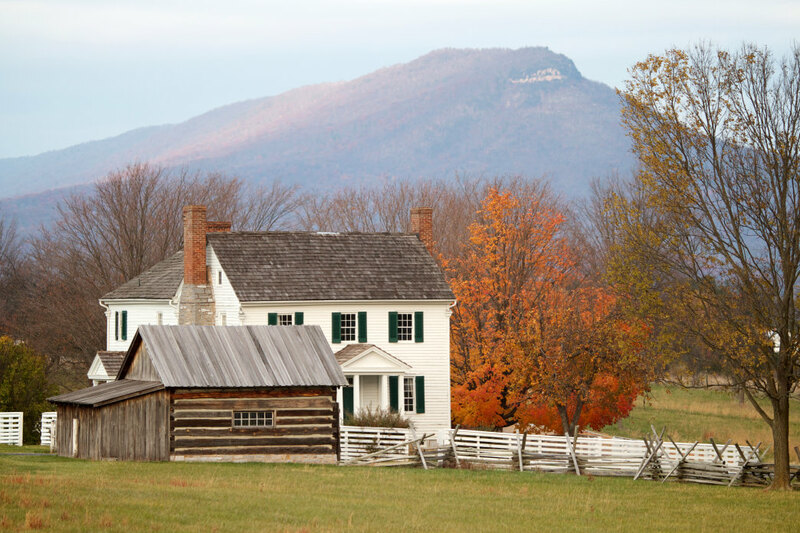 Lying in the shadow of Massanutten Mountain along the North Fork of the Shenandoah River, Strasburg dates back to 1761. 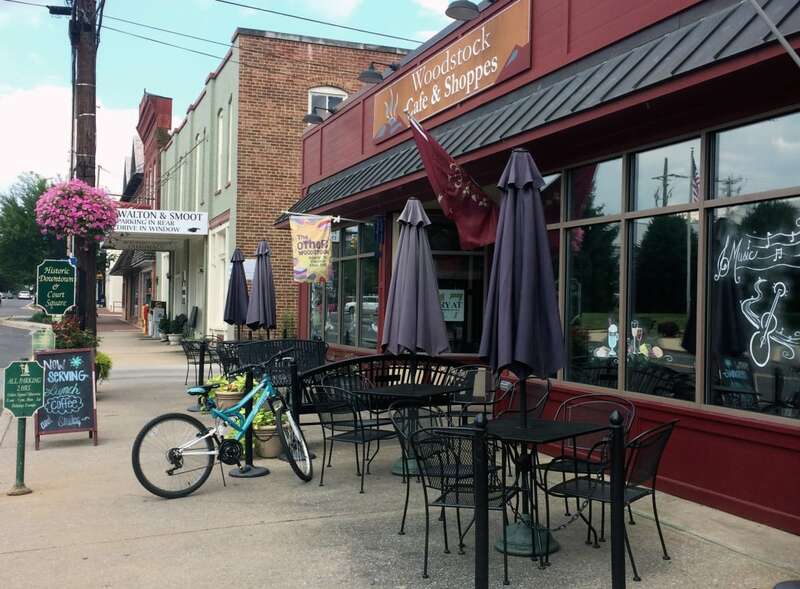 Known as a renowned hub for earthenware and stoneware pottery in the latter half of the 18th century, Strasburg is still the place to go to find one-of-a-kind antiques. Fuel Up Start off your time in Strasburg with a rib-sticking breakfast at one of the town's locally-beloved eateries, the Queen Street Diner. With hearty platters like pancakes with homemade sausage and corned beef hash, the best part is that breakfast is served all day. 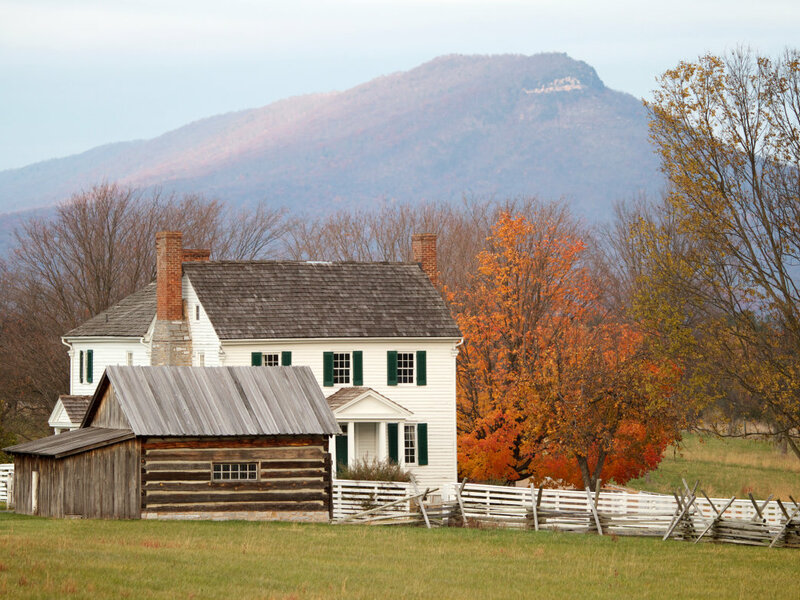 Burn off breakfast with a brag-worthy hike to the 2,106-foot crest of Signal Knob and an overlook that was used by both Union and Confederate troops during the Civil War. Located in the George Washington National Forest, which covers nearly a quarter of Shenandoah County, the 10.2-mile loop links the Signal Knob Trail and the Tuscarora Trail, offering a bird's eye view of Fort Valley and Buzzard Rock, as well as a sweeping vista of Strasburg. If a 10-mile trek feels too daunting, stick around town and head over to the Strasburg Town Park, offering kid-friendly access to the North Fork of the Shenandoah River and the Riverwalk, a crushed-gravel trail paralleling the water for nearly a mile. Prefer a little retail therapy instead? Reach that daily step goal perusing the array of antiques at the 52,000-square foot Strasburg Emporium. It's loaded with everything from quirky knick knacks to functional furniture. Unwind Cap off the day at eco-friendly Cristina's Café, which serves up locally-sourced cooking with an international twist. The café features umbrella-shaded outdoor tables and open-mike nights on Sundays. There are two new breweries on tap for Strasburg, too. Siblings' Rivalry Brewery is set to open at the end of summer and Box Office Brewing will launch in spring 2018. Toms Brook is the smallest town in Shenandoah County, but is packed with charm and Civil War history. The Battle of Toms Brook, dubbed the ‘Woodstock Races,' occurred in the area in 1864. Fuel Up Grab breakfast en route to Toms Book at Woodbine Farm Market, just west of Strasburg. Dine al-fresco style on freshly-baked treats like scones and cinnamon buns while wandering the grassy outdoor grounds of the market. Get Out Get some fresh air at Posey Thisisit Llama Farm. Nestled between an orchard and a vineyard, the 27-acre farm offers pre-scheduled tours that include plenty of quality time with the sociable llamas. The farm is also home to several sheep, and handspun products are crafted from fibers sourced from both resident ewes and llamas. Next, scope out local artist Susie Wilburn's creations at her workshop, the Laughing Orange Studio. Featured along the Shenandoah County Artisan Trail, Wilburn crafts handmade pottery inspired by nature and offers pre-arranged studio visits (just be sure to call ahead). Unwind End your day at North Mountain Vineyard and Winery next to the Posey Thisisit Llama Farm. Offering year-round wine tastings from Wednesday to Sunday, North Mountain features an elegant yet cozy Great Room and an outdoor balcony overlooking the flower-garden adorned grounds. Officially established in 1752, Woodstock dates back to 1752 when it was called Miller Town. It's the fourth oldest town in the state and has plenty to intrigue and charm visitors of all kinds, from history buffs to savvy shoppers in search of singular souvenirs. Fuel Up Start at one of Woodstock's tasty eateries. Grab a freshly baked muffin, bagel, or croissant and gourmet coffee at the Woodstock Café and Shoppes on Main Street in downtown Woodstock. Before leaving, take a few minutes to peruse the extensive selection of wines and stylish home accents in the attached shop. Or, for a singular dining experience, head to the Woodstock Garden Cafe, in the midst of the sizeable Fort Valley Nursery. The café serves up fresh, locally-sourced fare, and the menu features everything from breakfast sandwiches to waffles to biscuits and gravy and a great array of sandwiches and salads for lunch. Get Out After breakfast, stretch your legs on a hike to the Woodstock Tower. Built by the Civilian Conservation Corps, the tower has one of the best vantage points in George Washington National Forest, with views of the dramatic ‘Seven Bends' of the Shenandoah River. 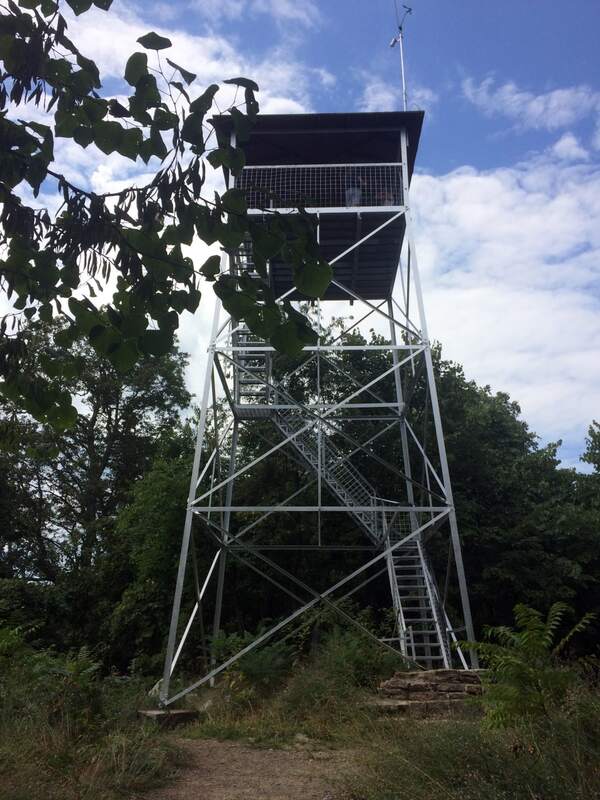 The tower is accessible courtesy of a short 0.3-mile out-and-back hike from the trailhead on Woodstock Tower Road, or via a 2-mile roundtrip hike from the Little Fort Recreation Area. Afterwards, spend the afternoon strolling Woodstock's inviting main drag and browsing antiques at local, independent shops like Three French Hens and Homefront on Main. Unwind At the end of the day, head for the Woodstock Brewhouse. Located in a repurposed historic building, the brewery offers a selection of locally-inspired craft brews and tasty food. The weekday and Sunday menu includes choices like flatbread pizzas and Bavarian pretzels, while on Fridays and Saturdays, 1752 Barbecue is on-site and serving up options like pulled pork and beef brisket. Rather relax with artisanal local wine instead? Head for Muse Vineyards, just outside Woodstock. The vineyard crafts wine inspired by French and Italian winemaking traditions – and offers public tastings Friday through Sunday. Founded in 1852, Edinburg offers a beguiling mix of local history and open air adventure. The town is home to an engaging historical district and one of the most iconic angling shops in the Southeast. Fuel Up Begin at Penelope's Cafe & Gallery on Main Street. Load up on turnovers, scones, or a breakfast sandwich, then peruse the gallery, featuring an array of art produced by locals living in the Shenandoah Valley. Get Out After breakfast, stroll over to Murray's Fly Shop to take advantage of more than 31 miles of trout streams rushing through the George Washington National Forest. An institution among the angling community, the shop has been open since 1962, and owner Harry Murray has authored several regional fishing guides. Murray's has an extensive selection of gear and offers lessons, workshops, and guided trips. Plus, one of the county's premier trout streams —Big Stoney Creek—runs right past the backdoor. Unwind After a day on the water, head for the Edinburg Mill. The designated Virginia Historic Landmark was established in 1848 and operated for 130 years, somehow managing to escape the infamous ‘Burning of the Valley' unleashed by Union General Philip Sheridan during the Civil War. Delve into the history of the region at the in-house Shenandoah Valley Cultural Heritage Museum, and then head downstairs to Heritage Mill Wine 1848, which is stocked with meticulously selected wines, cheese, and other tasty treats. End the day at family-owned Sal's Italian Bistro, serving up an assortment of traditional Italian classics in a cozy space on Main Street in Edinburg. The charming Mount Jackson was first named Mount Pleasant, thanks to an abundance of historical treasures, but was later renamed as a nod to President Andrew Jackson, a frequent visitor. Fuel Up Forgo traditional breakfast cuisine and load up on samples at Mount Jackson's most iconic food landmark – Route 11 Potato Chips. Crafting small-batch chips since 1992, Route 11 is a local institution. Snack aficionados around the valley also appreciate that the factory and attached store are open to the public. 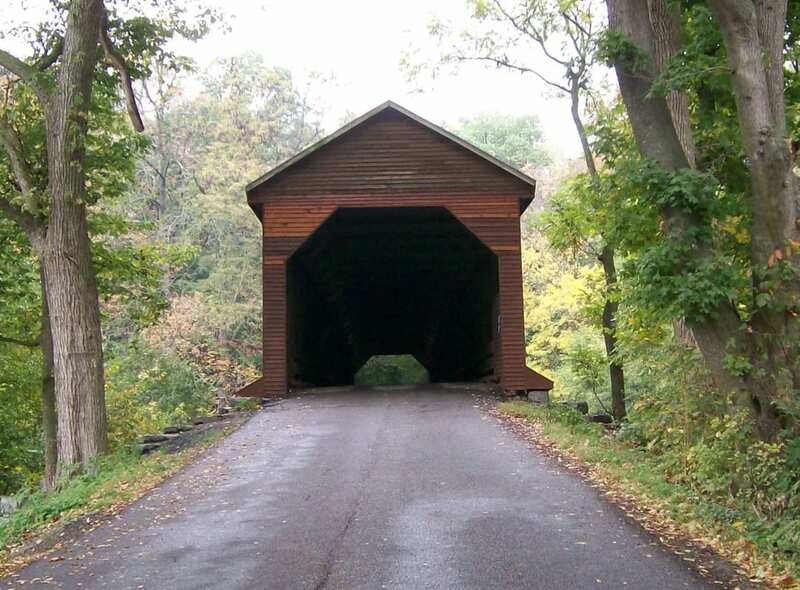 Link historic Route 11 and Wissler Road to take the scenic way to the chip factory and scope out another area highlight: the Meems Bottom Covered Bridge. One of just seven covered bridges still standing in Virginia, the Meems Bottom Covered Bridge was completed in 1894 and still towers over the North Fork of the Shenandoah River, successfully reconstructed with the original timber after being burned by vandals in 1976. Next, check out the region's subterranean wonders at Shenandoah Caverns. The hour-long guided tour leads you through a mile-long underground trek through 17 rooms, including highlights likes the Rainbow Lake and the famed ‘Bacon' formations. 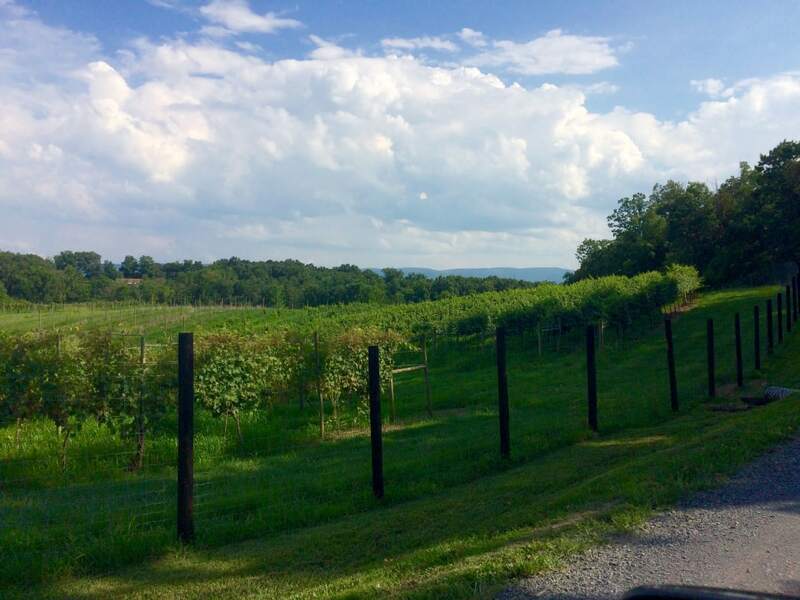 Unwind After a long day, drive on over to Cave Ridge Vineyard and Winery. The family-owned vineyard offers tastings and light snacks, and regularly features live music on weekends during the summer. 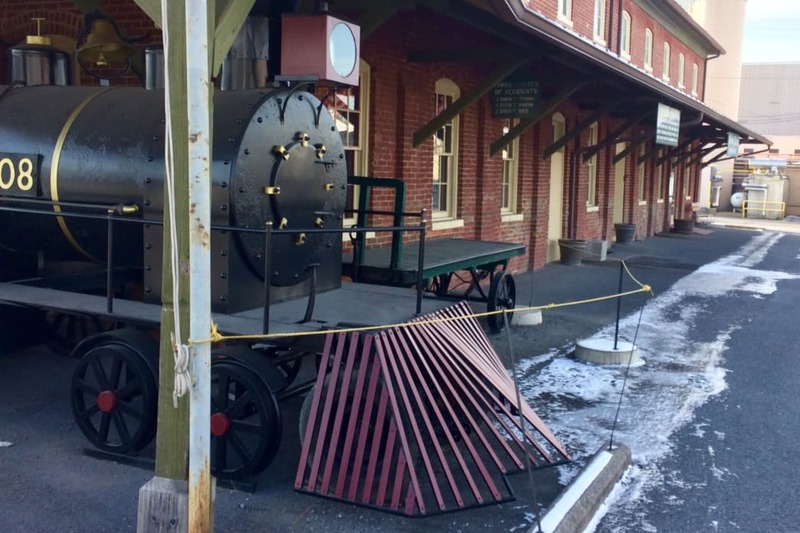 Cap off your Shenandoah County adventure in New Market. The 18th-century town features a collection of meticulously preserved Civil War sites, a newly renovated downtown, and plenty of appetizing eateries. Fuel Up Energize with coffee roasted on-site by Crazy Fox Roasters at Jackson's Corner Coffee Roastery and Café in New Market. Nosh on pastries and breakfast burritos while admiring the café's historic location in the Lee-Jackson building. Delve into New Market's vibrant and tumultuous Civil War history at the Virginia Museum of the Civil War. The state-owned museum explores the impact of the Civil War in Virginia, which includes the Battle of New Market. 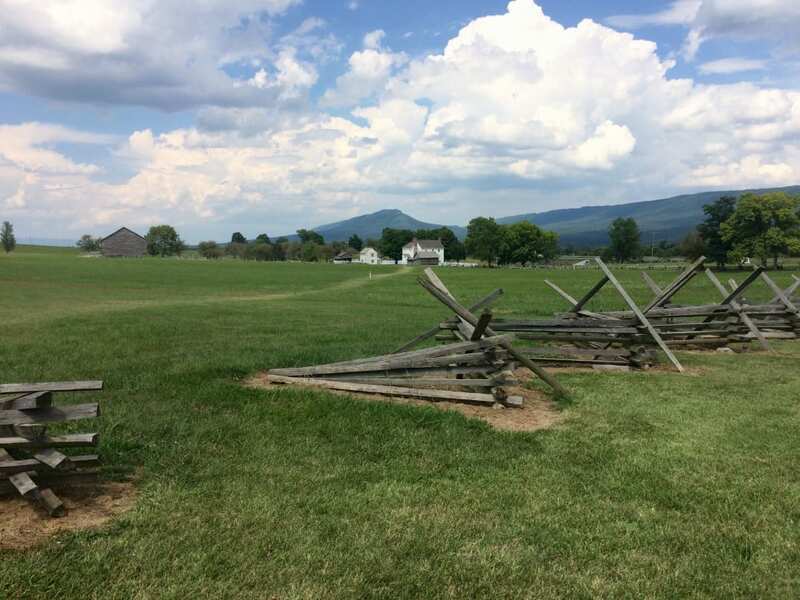 In addition to the museum, the location also features a 300-acre battlefield park laced with trails and Bushong Farm, which was engulfed by fighting during the 1864 battle. Get a little more fresh air with a short-but-sweet hike on the Massanutten Story Book Trail just outside New Market. The family-friendly route showcases a scenic swath of Massanutten Mountain, towering over the Shenandoah Valley and splicing the Shenandoah River into North and South forks. The paved, 0.4-mile trail is capped off with views of Page Valley and the Blue Ridge. End the afternoon back in New Market at Chickadees Artist Gallery and Pottery Shop. The pottery studio and shop features the work of owner George Jetter and other local artists, selling everything from handmade quilts to blown glass to artsy film prints. Unwind End the day with dinner right in town. Options include Southern Kitchen, serving up comfort food classics like a legendary fried chicken, or locally-owned Jalisco Mexico Restaurant, featuring authentic Mexican fare like pork carnitas and fajitas, and a sunny outdoor patio. Round out the day at a local gastronomic institution—Pack's Frozen Custard. They're known for doling out generous portions of soft-serve ice cream and rotating beloved flavors, like black raspberry and banana. Those are just a few of the ways to explore Shenandoah County. If you're looking for more off-the-beaten path adventure, we've got some ideas here. Written by Malee Baker Oot for RootsRated in partnership with Shenandoah County.